When you want the professional touch for your carpet flooring installation needs, invite the experts from our flooring company into your home or place of business today! At our company, we specialize in flooring and carpet installation services, so give us a call when you need assistance. Customers can always trust our flooring experts to deliver the most affordable and convenient carpet installer experience in the area. No matter if you want to add some carpet flooring to the break room in your office or completely overhaul your home's décor with wall-to-wall carpeting in every room, we are your best choice for efficient and effective carpet installers. At our company, we focus on both home and office carpet, and we work with you to help you decide the best choice for carpet materials based on floor traffic, lifestyle, and budget. You might think that carpet installation is an easy task, but trust us when we say you'd be mistaken. We do this every day, and we have all the tips, tricks, and methods down to a science. In addition, we also have years of carpet flooring experience, where you might install carpet flooring once or twice in your lifetime. What might look like a simple weekend project can soon spiral out of control. Don't let carpet installation become one of those failed home improvement projects that devalues your house in the long-term. Invite our crew into your home and let us properly and professionally install your carpet, adding the beauty and value you desire! At our company, we know that your home is your greatest investment and you don't want to lose money doing anything halfway. Thanks to our experience, knowledge, and skills, we add to that investment in a positive way while removing the headache and stress from the project. From laying carpet in a few offices to renovating your whole home, we use state-of-the-art equipment and proven methods to install carpet flooring in no time! We work around your busy schedule, and our goal is to install the best-looking carpet without disturbing you at all! Contact Flaherty's Flooring America in Cypress, Texas, when you need quality carpet installation for your home or office. 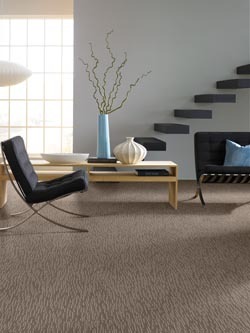 Let the professional carpet installers at our company lay down the carpet flooring you need in Cypress. We proudly serve clients in Northwest Houston, including Jersey Village, Spring Valley Village, Cinco Ranch, and Bellaire.